Using the services of an illegal gas fitter could cost you your life. That’s the message from the Gas Safe Register, who are warning homeowners to be wary of rogue boiler installers. 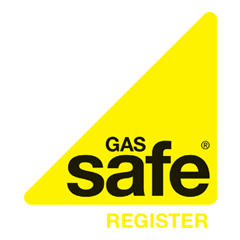 Back in September, the Gas Safe Register (GSR) launched its first ever safety week to raise awareness of gas safety. As we battle through the winter months, the number of boiler breakdowns continues to escalate during the industry’s busiest period, leading to the potential of more and more people instructing the services of unqualified boiler engineers. These so called “cowboy” installers continue to operate up and down the country, putting lives at risk by undertaking unsafe gas work in thousands of UK homes. Homeowners need to be more aware of the dangers imposed by rogue heating engineers. Incorrectly fitted and poorly maintained gas appliances could lead to injury or death in a gas explosion or exposure to carbon monoxide, which could also result in loss of lives. According to the GSR – which is the official gas registration body for the UK – there are somewhere in the region of 7,500 cowboys who operate illegally nationwide, accounting for approximately 250,000 illegal jobs annually. To highlight their warning, a survey of boiler installations carried out by “rogue” installers in London revealed a massive 79% of boilers fitted were either a risk or “immediately dangerous”. As head of field operations for the GSR, Ross McTaggart said the most feasible way to stamp down on the illegal activities is by enlisting the help of consumers. “These traders are putting people’s lives in danger. We need to raise awareness of this and urge people to make sure they check a fitter’s credentials,” he said.